Welcome to Nervous System Diseases, a complete guide to diseases of the neurological system, with an emphasis on neurosurgical disorders. Our goal is to provide our readers with a complete, in-depth introduction to surgical diseases of the nervous system that is accessible and understandable even if you do not have a background in science or medicine. Our experience both in the neurosciences and in education allows us to bring these oftentimes confusing topics into focus, taking away the mystery and confusion. 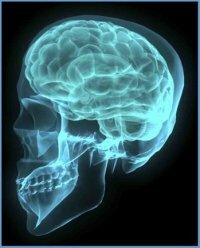 Whether you or a loved one has recently been diagnosed with a neurological disease or you are just looking to learn more about neurology and neurosurgery, this site is an introduction to both the diseases that afflict the nervous system as well as the types of procedures and testing that these pathologies often require. If you or someone you know has been diagnosed with one of these disorders, this can be a very scary time for you. However, asking questions and the knowledge you can gain from it are a beginning which can lead to understanding and healing. We hope that this site can help to educate you about these nervous system diseases. For those of you who come here to study medicine or for pure intellectual curiosity, we hope you find these introductions for neurological pathology and medicine stimulating and helpful. Most of the discussions of nervous system disorders and conditions herein assume no prior knowledge of physiology, anatomy, nervous system function or any other medical knowledge. We have tried to write in a way that is accessible to "laypeople" while still providing enough detail and specifics to satisfy your intellectual curiosity. If you find any of the descriptions lacking, feel free to Contact Us to let us know. We will do our best to remedy any oversights. General categories of nervous system diseases are found along the navigation bar to your left or on the menu at the top (for mobile devices). Each of those buttons will link to sections which list specific disorders related to that topic. If you are unable to find a particular disease or condition, be sure to use our Site Map and Search function. If you still cannot find it, it is possible we do not yet have an article for that topic. If that is the case, please Contact Us and let us know. We will work hard to post new material often so that we can meet the needs of all of our readers. Have you or a loved one suffered from a nervous system disease? Share your story with our readers here. Important Note: This site is not intended to offer medical advice. Every patient is different, and only your personal physician can help to counsel you about what is best for your situation. What we offer is general reference information about various disorders and treatments for your education. This site should not be used to diagnose or guide treatment of any condition. Here are new pages and articles which have been added to Nervous System Diseases recently. Check back often for new content! There are many different causes of headache, from the completely benign to life-threateningly serious. Learn more about different types of headache here. Stroke is a general term for a sudden neurological event which results in the new onset of neurological symptoms. Learn about the various forms of stroke here. Epilepsy is a condition characterized by recurring seizures in an individual. Seizures are an abnormal overactivity of the cells of the brain. Learn more about epilepsy, its causes and its forms here. A brain tumor is an abnormal growth that involves the brain itself or its surrounding structures. This page contains information about various types of tumors of the central nervous system. Traumatic brain injury (TBI) is one of the most common causes of death and disability in the world. Learn more about the different forms of this nervous system disease here. Spinal disease is any pathology which affects the spinal column and/or the spinal cord and spinal nerves which are contained therein. Learn more about types of spine disease and spinal surgery here. Multiple Sclerosis (MS) is a diseases of the central nervous system which leads to recurring attacks of neurological symptoms. Learn more about its causes, symptoms, diagnosis and treatment here. Cerebrovascular disease refers to disorders of the blood vessels that supply blood flow to the brain. Here is information about various cerebrovascular diseases including brain aneurysms and stroke. Parkinson's disease is a degenerative disease which leads to progressively worsening neurological symptoms, primarily related to movement, including tremor and rigidity. Hydrocephalus is an abnormality of the normal dynamics of the cerebrospinal fluid (CSF). Learn more about hydrocephalus and its different forms and causes here. A CNS infection is an infection which involves the central nervous system in some way. Meningitis is one of the most common and well known types. Learn about meningitis and other CNS infections here. Pediatric neurological surgery refers to neuro conditions that afflict children. Pediatric neurosurgery conditions vary from tumors in children to congenital malformations which present in childhood. Arnold Chiari Malformation is a malformation of the brain characterized by decent of the cerebellar tonsils below the foramen magnum. Learn more about it here. So what can you expect when undergoing a neurological assessment? Here is an overview of some of these common parts of a neurological evaluation. Medical terms can be confusing. It can be helpful to have somewhere to go to get more information about what they mean and what they imply in the discussion of a patient. A list of some helpful nervous system disease links to find more information about diseases of the nervous system. If you are trying to find information on a specific nervous system disease, use our search function or site map to find it. Do you have questions or comments about our site? Contact Nervous System Diseases here. Have you or a loved one struggled with nervous system disease? Share your story here.